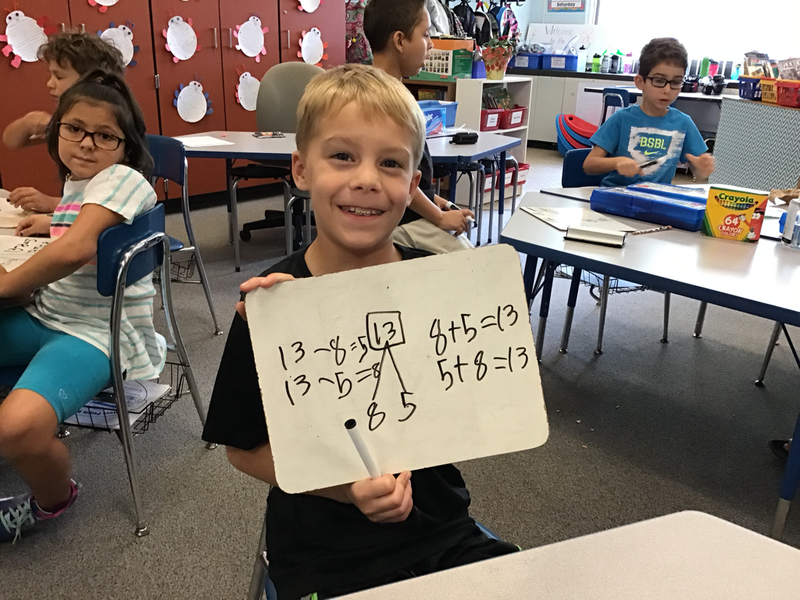 Math Expressions allows for an in-depth study of mathematical concepts that build on each other in a sequential order. It provides students to talk about the process of their thinking and the steps they took for problem solving. "Math Talk" in the classroom will provide many opportunities to talk about and share student thinking. We are excited to crunch numbers and build our fact fluency together!